Lenovo recently announced a new home assistant that seems more like a kitchen appliance to commence a revolutionization of home assistants offered by Google. Before now, home assistants and many other virtual assistant hardware usually were wired to receive information, interact, and communicate with users using voice only. Now, through Lenevo, Google is bringing its new ‘Smart Display’ initiative to life with the Lenovo Smart Displays the pioneering device. 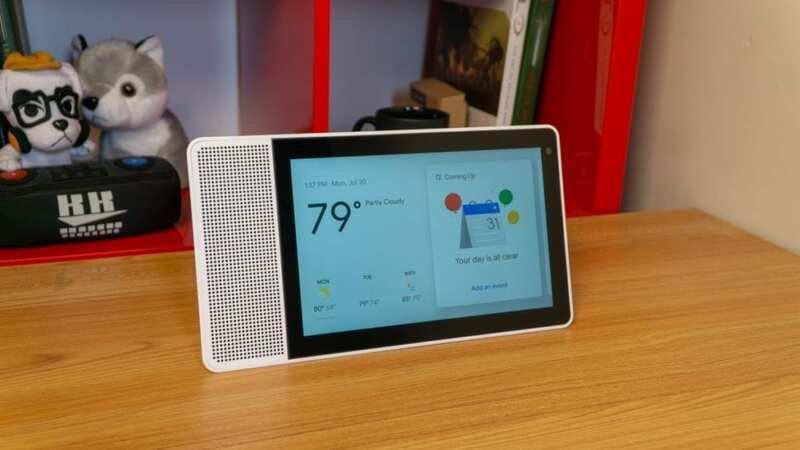 With the Lenovo Smart Display, Google is giving the audio virtual assistant found in many phones and home assistants a display, a face and more features to change the home virtual assistant game. 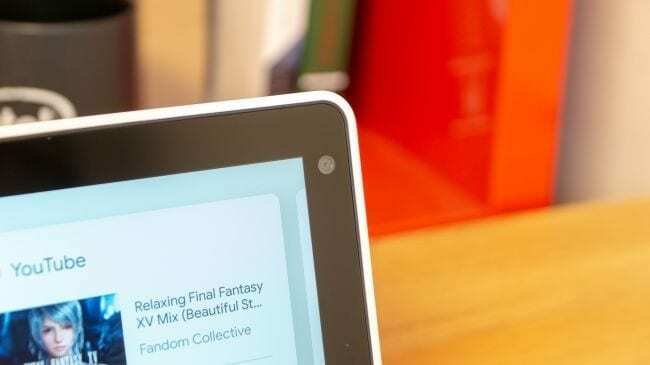 The Lenovo Smart Display has actually been dubbed “a Google Home with a screen” and try be told, that isn’t totally far from what the device is actually is. Basically, the Lenovo Smart Display is a Google Home speaker with a screen, an eye, and more control options. And albeit, this is the first from Google, this isn’t the first of its kind, the Amazon Echo released as far back as 2016 is. The Lenovo Smart Display is Google’s break-in device into the “smart speaker with display” ecosystem. Before segueing into more details on what the Lenovo Smart Display can do as well as pictures, let’s have a look a some of its specifications shall we? On first glance, the product seems as though a tablet is attached to the left of a rectangular Google Home Speaker. The speaker is relatively loud (Google Home-loud) but said to sometime produce distorted sound. 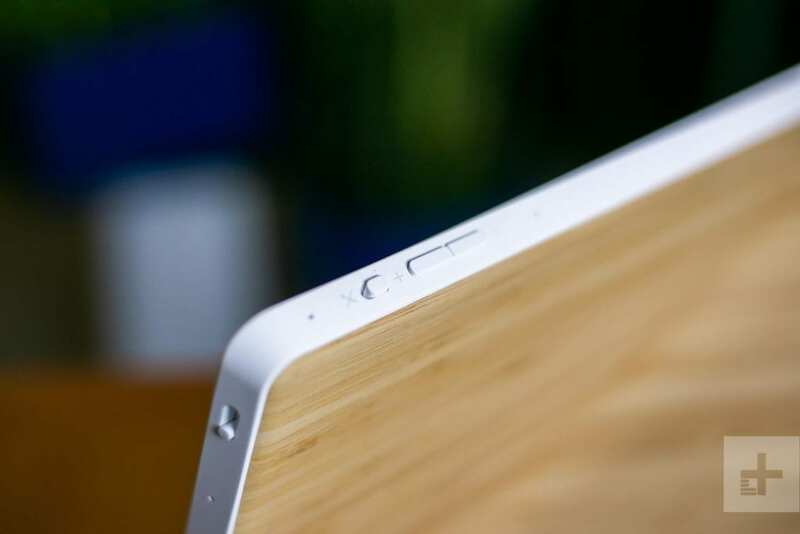 The bezels around the display are thick but it really doesn’t matter since the device isn’t designed to be operated in the hands like a tablet. At the top-right corner of the display is a 5-megapixel camera for video calling purposes. The Smart Display comes with the Google Duo App which is the only app that uses the front camera. For privacy purposes, Lenovo embedded buttons at the right-hand side of the device which allows users turn the camera on and off. When off or deactivated, a red laser beam comes on at the camera spot. Volume adjustment keys and microphone on/off switch are located at the top of the device. You should know that visual smart home assistant has a fixed horizontal display orientation which can only be rotated vertically during Duo video calls. On the rear, the speaker protrudes to the rear and doubles as a permanent kickstand to rest the device either horizontally or vertically. 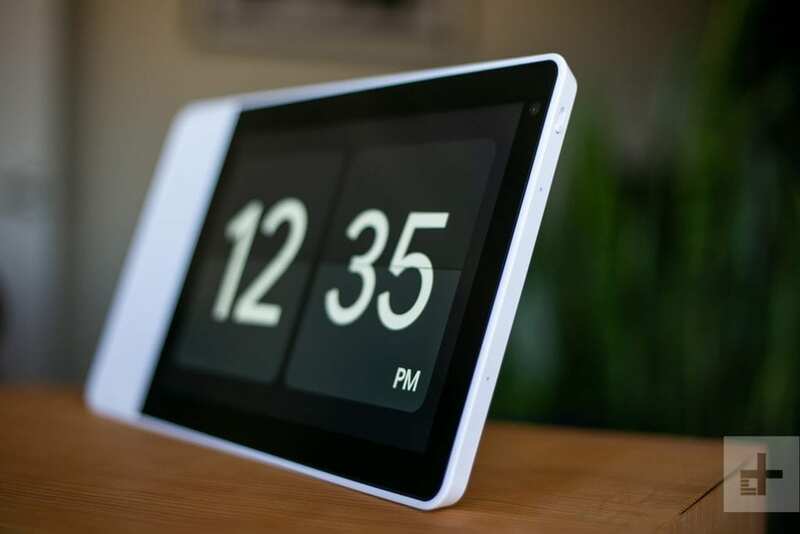 The Smart Display is available on two colour option; a bamboo-textured panel (for 10-inch version only) and gray plastic panel (for 8-inch version only). The Lenovo Smart Display comes in two different variants on the basis of display size: 8-inch and 10-inch. The smaller variant has a lower high definition (HD) display resolution of 1,280 x 800 pixels while the bigger 10-inch variant come with a better and clearer full HD resolution (1,920 x 1,200 pixels). The screen comes with certain functions like swiping up from the bottom brings up a settings menu where you can make changes to brightness and other stuff. Swiping from the left edge to the right takes you from the current page to the previous; more like a back/return button would. The introduction allows more to be done. For example, you ask the smart display for a location, not only will it read about details of the location (like the Google Home Speaker does), it will also display map location, directions, and pictures of the place on the screen. When you say “Hey Google, how can I fix your Vacuum cleaner”, it brings up a couple of YouTube videos on how to fix the appliance. The Smart Display comes with two microphones which do well in picking up and recognizing users voices. However, in loud environment like when you have your music playing loudly, the device might have a hard time picking up voices. What can you do with the Lenovo Smart Display? Say “Good morning” to the Smart Display to turn on your smart air conditioner or smart light bulbs, turns on the smart coffee maker, read out the morning news and do anything else you customize the device to do at that command. Control over 5,000 different smart home devices. 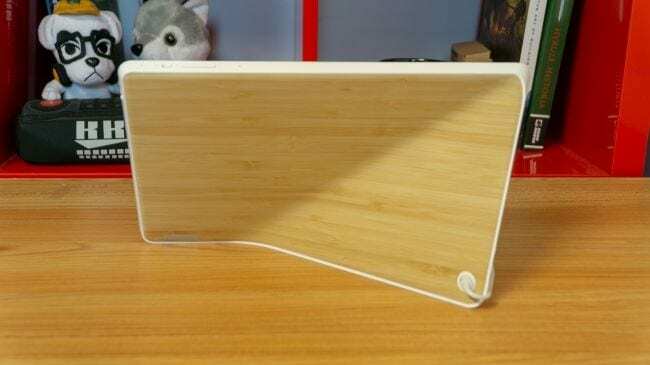 The 8-inch gray coloured version of the Lenovo Smart Display with plastic panel retails for $200 while the bigger 10-inch version with bamboo-textured panel sells for an additional $50. Both version have similar functionality with the display size, colour and resolution being the distinguishing properties. The Lenovo Smart Display is the first Google Visual assistant to enter the market. Before the year runs out, we expect more to flood the market from other Google partners like LG, Sony, and JBL.